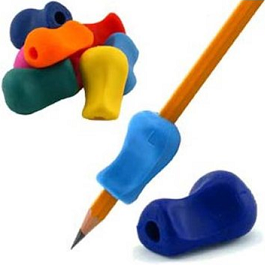 When learning to write, some children have difficulty developing an effective pencil grip. Holding a pencil with the right grip and appropriate amount of strength can make a big difference in a child’s handwriting. 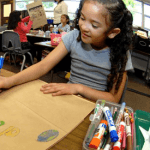 Parents and teachers can use strategies to help children improve the strength in their hands, how they hold their pencil, and the overall appearance of their handwriting. 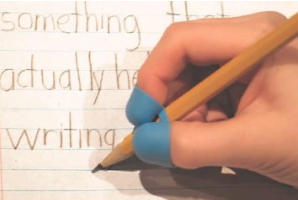 A common grip taught to children when developing handwriting skills is the tripod grip. 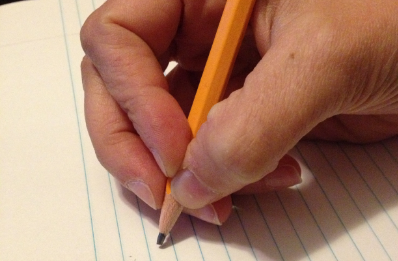 The tripod grip is an effective way to use hand muscles when writing. The child holds the pencil with their thumb and index finger, while the pencil rests on their middle finger. See an example below. Some children learn the tripod grip naturally, while others need help from parents and teachers. It is recommended to teach the tripod grip when a child learns to write his or her own name, generally around age 5. The child’s fingers should be relaxed so her hand will not tire too quickly. Specifically, observe the index finger knuckle for signs of redness or whiteness which would indicate pressure on the joint. Also ensure your child is not making a fist. For children who consistently hold the pencil too tightly, make a fist, or put pressure on the joint of the index finger, have them hold a small ball of clay or tissue, a small rubber ball, or a penny in their palm when they write. This should help relax the grip. See an example below. Ensure the grip is close to the tip as in the pictures above. 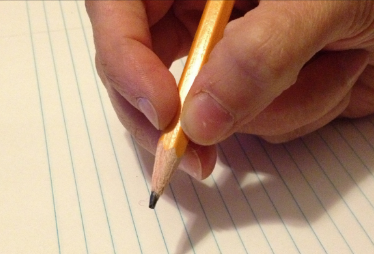 Holding the pencil too far back allows for less writing control. To ensure correct positioning of your child’s body when writing, check that she is sitting with her feet flat on the floor and her bottom in the center of the chair’s seat. 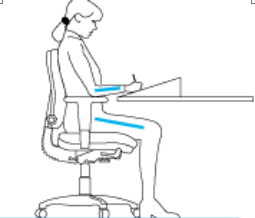 See correct body posture for writing in the image below. Keep in mind that some children have significant difficulty sitting this way for long. While it is best to encourage this posture, do not stop a writing lesson if a child struggles to sit this way. Just do the best you can to encourage them. The child should use her free hand to hold the paper in place as she writes. For children who have trouble holding the paper, you can tape the paper to the table. Let your child choose and practice the tripod grip with different writing tools such as pens, markers, crayons, pencils, and coloring pencils. Another great tool to practice writing and pencil grip is the stylus for the IPAD . Occupational therapists who often work with children on handwriting and pencil grip skills have recommended a grip friendly stylus such as the Universal Capactive Stylus Pen. 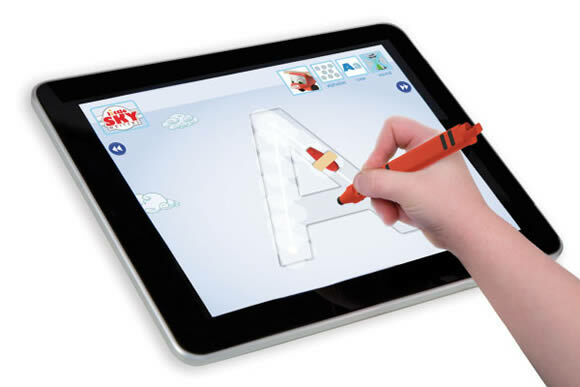 Many children who do not like to practice handwriting the traditional way, are eager to practice with writing apps on the IPAD such as the iTrace- Handwriting App for Kids or the iTrace Free (which is highly rated but has a limited number of letters, words and settings). If you have an Android Tablet or Smart Phone, a recommended handwriting app is Writing Wizard . Try using a rubber band. This is an effective strategy for some children. 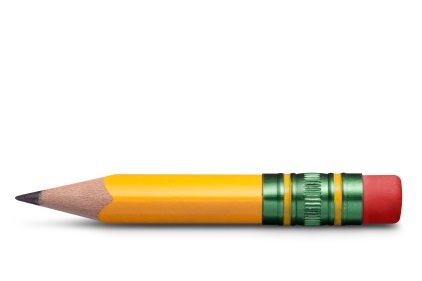 A rubber band helps keep the pencil in place, while allowing the pencil to slant naturally. 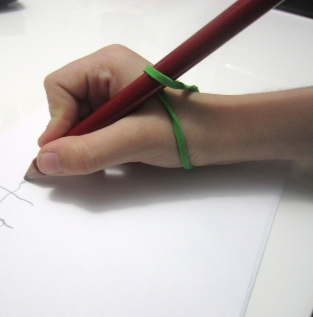 Twist the rubber band once around the pencil and then around the child’s wrist as shown below. 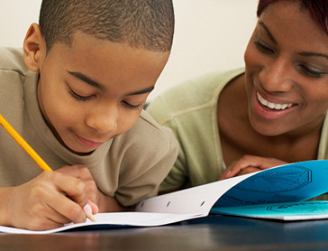 Let your child know when they are putting forth good effort or making progress with their skills (e.g., you worked hard on your writing today, you have been practicing hard, you wrote very nicely today). Do your best to make sessions fun for the child so they want to practice again. Let them make choices such as what writing tool to use and what to write or draw. Obviously they may not have these choices during homework, so have additional practice sessions that allow for choice making. Remember to always stay calm when working with a child or student, even if you think they should be getting something that they are not getting. If you get frustrated with them, they may start to feel anxious, angry, inferior, stupid, etc. which will lead to a less productive learning session. 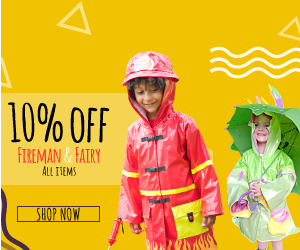 Since not every tool will work for every child, you will find some mixed reviews on these products; however, The Pencil Grip Writing Claw, and the The Pencil Grip Original Universal Ergonomic Writing Aid both have positive ratings overall. Another strategy to use is breaking crayons in half, or using very short pencils. 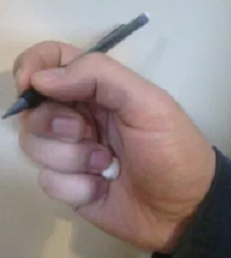 It is difficult to use a fist grip on a writing utensil that is that short. The hand automatically goes into a pincer type grasp similar to the tripod grip and the quadropod grip shown below. The quadropod grip is also an acceptable grip. If a child develops the quadropod grip naturally and is using it effectively, there is no reason to change their grip. Additionally, if a child has trouble developing the tripod grip after trying different strategies and practicing consistently, you could try teaching them the quadropod grip. All the same strategies listed above should be utilized when teaching the quadropod grip. Keep in mind that every child is different. Some respond to several strategies, others respond to a few, while others may not respond to any of these strategies. 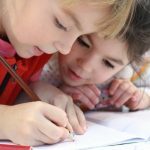 If your child is significantly struggling with pencil grip or other fine motor skills (e.g., using scissors, buttoning, zipping, using utensils, picking up small objects, etc.) despite consistent practice and guidance, inform your child’s school and/or doctor. 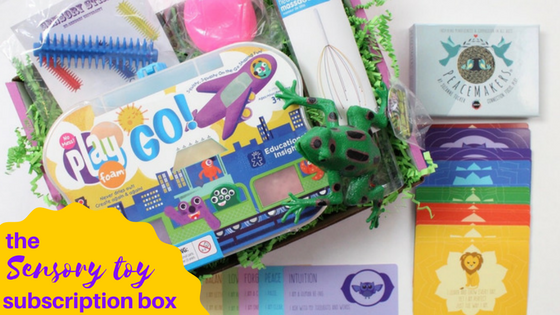 They should be able to get a specialist involved such as an occupational therapist to determine what might be interfering with your child’s fine motor progress and what additional strategies might help. Our Favorite Handwriting AidsThank you for visiting educationandbehavior.com. 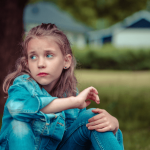 This is a free resource for parents/caregivers, educators, and counselors! Browse out topics/categories from the navigation bar above! 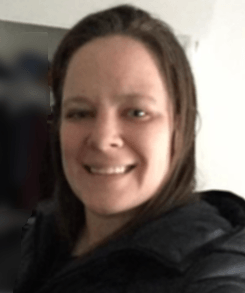 Receive our updates on Facebook!